Hello. I'd like to find a book on how to be a cinematographer for new people. You know, with plenty of examples, and where the writing isn't confusing for new people, like myself. I was also wondering if there is a book for the anatomy of a film camera, or something along those lines? You know, those kinds of things all explained thoroughly for newcomers like myself. Becuase when people start talking about these things, i have clue what they're saying: "Like, no, no. Super 35 is better than Anomorphic!" Things like that. I don't think you'll find everything in a single book, but you could try "Practical Cinematography" by Paul Wheeler. I haven't read this one, but looking at the index and having read other books by him, it should give you a run through the process. Blain Brown "Cinematography: Theory & Practice"
Blain Brown "Motion Picture and Video Lighting"
"Cinematography: Third Edition" by Malkiewicz and myself covers basic 16mm cinematography and lighting, so is a good intro. Get subscriptions to American Cinematographer Magazine and the IATSE Local 600 magazine, ICG. Articles therein cover the subjects you mention in depth. What everyone has said is a perfect start. Read an ASC magazine every month, and all the terms you don't understand, just google them and you'll find out what they mean. A recent book that has helped me enormously, especially with film stocks, is Cinematography for Directors. This was recommended in this forum for books for cinematographers, so I checked it out. It goes in depth about lenses, filters, lights, grip equipment... basically everything that a cinematographer should know. And one of the most important parts of this book are quotes from professional cinematographers, where they give you quotes and an insight on how important a collaboration between a cinematographer and a director is. I highly recommend this book. All books mentioned above are great ones that I recommend to my students when it comes to technical and aesthetic questions. I would also recommend a book that I recently published (yes, I'm hawking my own wares) that talks about the beginning stages of any cinematographer's career as they climb the film set "ladder" or navigate through film school. Many chapters focus on the business side of the job and how to mold personal passion into a viable career. It does not provide a guaranteed "How To", rather plenty of insight for every young potential cinematographer to consider as they begin their journey. Topics range from joining the union, getting an agent, film school vs the ladder, and strategies on getting yourself out there. It was reviewed by our own David Mullen as well as Blain Brown, the author of many highly regarded cinematography books. "This book is an honest and accurate account of what many cinematographers go through at the beginning of their careers, and there are few books like it out there. Hopefully a beginner reading Austin Schmidt's personal experiences will learn what opportunities and minefields lie ahead for them and plan accordingly." -M. David Mullen, ASC Cinematographer and co-author of "Cinematography (Third Edition)"
"It presents an excellent overview of what is involved in working as a cinematographer and what is involved in becoming one." If you are thinking you might want to be a cinematographer, you should read this book. Once you decide it's what you want to do, then read my book." -Blain Brown Author of "Cinematography: Theory and Practice"
While this book is a lot more than what the title implies it still addresses the questions that many students of the art of cinematography will ask. The author has written from his personal experiences in detail. While others may encounter very different experiences or situations, the basic idea is there. I know that many beginning and most experienced cinematographers will be able to relate to Mr. Schmidt's travails. For those wanting to have an insight into what awaits them in the working class below-the-line world there is a lot to be gleaned from his writings. As far as camera anatomy goes, check out "Professional Cameraman's Handbook" by Sylvia & Verne Carlson. It hasn't been updated in years, with the passing of Verne, but is still a wealth of knowledge if you're into shooting film. Whether or not you want to be an AC, the Camera Assistant books I think are very useful. If you want to work as a cinematographer, it's quite helpful to the camera department to understand what it is they are actually doing for you. So many hack shooters out there grow impatient because they have no understanding of why certain things take 1 minute from now vs. 5 minutes ago. Those books are great to gain understanding of the technical aspects of cinematography. In addition, I'd recommend books on painting and photography. Ansel Adams' two volume set The Camera and The Negative were essential to my gaining greater understanding of just HOW I capture a scene, and paintings taught me much about light, shadow and color...Jack Cardiff was especially fond of the Dutch Northern Renaissance and the Impressionists. 03. You canâ€™t avoid theory completely â€“ Whatâ€™s inside a movie camera? 05. The agony of choice â€“ Which film for your camera? 08. Doing it yourself can be fun â€“ Dazzling development! Of course there's FAR more to know about Cinematography then the technical aspects. What good is knowing how to do something without having the opportunity to use your skills? For that, I recommend my own book, "What I Really Want to Do: On Set in Hollywood." Knowing how the industry truly works and how every other department interacts with the DP is essential to doing your job well and building a successful career. Any comments will be much appreciated! Thank you! Any of these books have specific examples of images and the correlating lens? I was just wondering if there are any books out there that are specifically catered towards camera operating? I have Cinematography: Theory and Practice which has some great sections on camera placement and the theory of shot composition (character relations etc.). "The Negative," and "The Camera" by Ansel Adams. No one has mentioned "The Five C's of Cinematography." Never mind the books. Get yourself a manual focus, manual exposure SLR, some slide film, and start shooting. The answers come much easier when you look through a viewfinder! There's a new edition of "Film Lighting" that just came out. The best book is working for free. On the job training. And don't get fooled into hanging out with crew people who do drugs. Lots of middle aged grips go that route, or get arrested or worse. Be on time, be professional, don't anything personally, just do your job or whatever it is people tell you. You'll learn tons more that way than by reading a text from Focus Publications. I had all of the little books with the slate cover on them. Everything from gels to scrims to cameras to dollies, etc. I never read a single one. In addition to above books mentioned ,I would also recommend Basic Photographic Materials And Processes By Nanette Salvaggio.. I Just Glanced The Whole Book , It has very good and deep explanations about many things- Light , Exposure , Optics ,Sensitometry, Color , Tone Reproduction , Filters Etc.. If u want to get strong in theoretical part i highly recommend this book...Rather Than Other Books Which explains only the practical part we need ,this book explains everything with deep science behind every aspects of Photographic materials .. But though some dragging unwanted explanations are also there in this which we need to skip.. But Overall a great book With lots of information . I think over the course of the past year I've managed to learn the very basics of cinematography. I feel I could definitely talk and understand a professional cinematographer, should the occasion arise in the near future. In my next project, which will be my first feature, I've decided to hire a cinematographer, knowing I will make mistakes. I've mainly learned from David Mullen , Roger Deakins, and the American Cinematographer's manual. Also, 'The 5Cs of Cinematography' really helps you understand the fluidity of camera movements, which is something I struggled with in my first short, and where the cut should be, which is very important. I would like to give my contribution to this discussion by telling you I bought some of the books, who were advise on page one and so far I'm not disappointed at all. 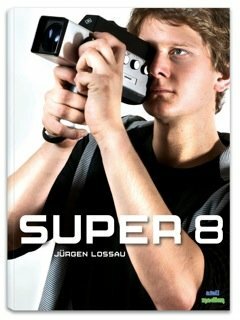 So for those of you who dream to pursue a career as a Cinematographer I advise you to read this book first. "Lighting for Cinematography: A practical guide to the art and craft of lighting for the moving image." from Bloomsbury Press, which has been getting good reviews on Amazon. 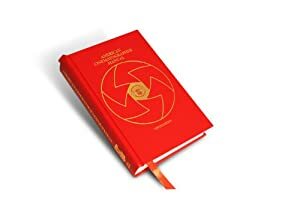 Of course there's the ASC book "Reflections" by Benjamin Bergery and the Focal Press book" Cinematography" by Mike Goodridge & Tim Grierson - both excellent resources. I put ASC in Google, got Ammunition Storage Components. Whoops a daisy!